As you boot up your computer this morning (not that anyone really does that anymore), you'll notice a new banner add to the left of these words. Some time ago, I mentioned that I would be seeking sponsors for this site. You might have wondered what happened. Well, interesting story. I got a surprising number of inquiries (you know who you are--thanks!). One of them was the Guinness Brewery, which was totally shocking. Even more interesting, they wondered if I would consider them as sole sponsor--an arrangement I'd never considered. It doesn't take a rocket scientist to see how it turned out--though because one of the largest drinks company in the world was involved, getting that banner up took longer than I expected. We're doing an initial run of two months, so I thought maybe you'd be curious to know my thinking--plus one other information tidbit. Guinness is, as everyone knows, one of the largest and most successful beer companies in the world. Nevertheless, not everyone loves them. They are also owned by Diageo, owner Guinness as well as Smirnoff, Crown Royal, Tanqueray, Johnnie Walker, and many others. I have had my own curious relationship with Dublin's giant: Guinness was the only brewery to flat out deny me a tour of their facility, and then I had an awkward call with Fergal Murray, then the face of brewing operations. And finally, many people consider their products bland and industrial. When I decided to seek sponsors, I wanted companies that would be partners, folks to help me make a few bucks while getting my endorsement in the form of a banner ad. When I heard from Saraveza, General Distributors, and Double Mountain, I was delighted--they're exactly what I had in mind. It never occurred to me that a larger brewery would be interested. Blue Moon, Goose Island--even Bud of Coors might have inquired. I'm not really sure what I'd have done in that case. But Guinness? A no-brainer for me. I have loved this beer (here in the US, we get a product called Extra Stout that has been a top-ten beer for me) for over 25 years. Many years back, the company ran a promotion to win a pub in Ireland, and friends and I wrote mini-essays with fantasies of moving to Ireland to pour pints of the stuff the rest of our lives. 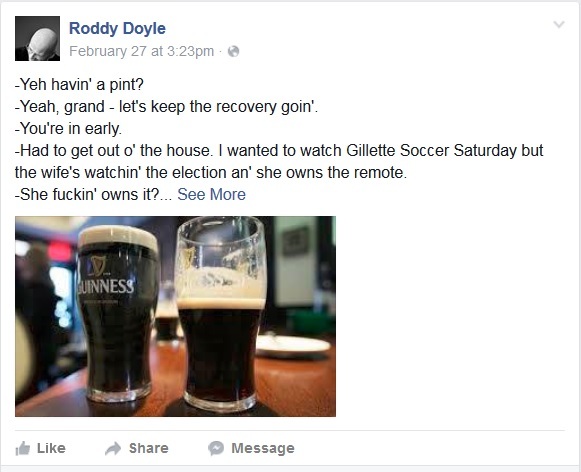 My favorite living author is the Irish author Roddy Doyle, who manages to situate a fair number of his most funny and/or poignant scenes into pubs where characters are gulping Guinness. (A Star Called Henry is one of the best books ever written.) This no doubt led to some inexcusable romanticizing of Ireland's most famous brewery, but then I would not be the first person to romanticize a brewery. While I was discussing this sponsorship idea with Guinness, something interesting happened. The brewery had reconnected with Michael Ash, the man who developed the nitrogen draft system in 1959. Amazingly, he is still well and living in England at 88. The brewery decided to have an event honoring him, which will happen next Thursday at the brewery. Guinness has invited me to come along and interview Ash when he arrives, and they've also promised to give me a tour of the brewery. I believe they're inviting an English writer as well. This is a new experience for me, and a bit of a trial run. I will continue to report back how it's going. I hope you watch what I write carefully to see if it passes your smell test. It is certainly not the most ideal circumstance--I would so much rather be living in an era when I was a staff writer at a magazine with a travel budget. Fortunately, Guinness isn't a brewery I write about much in the first place; so except for my dispatches from the brewery in coming weeks, it shouldn't affect things around here much at all. But we'll all be watching. I'm off on Sunday to Dublin, so expect Irish blogging next week. Congrats Jeff! Can't wait to hear about your trip and the interview. What an amazing opportunity! As you know, my range of beer preferences is narrow, but Guinness is in my top 5. Have a great trip! Congratulations, first of all, on getting a sponsor. But your post has a confusing conflation of Guinness the brand, Guinness the beer and Guinness the brewery, leaving me not at all sure who your sponsor is. The makers of Tanquery? 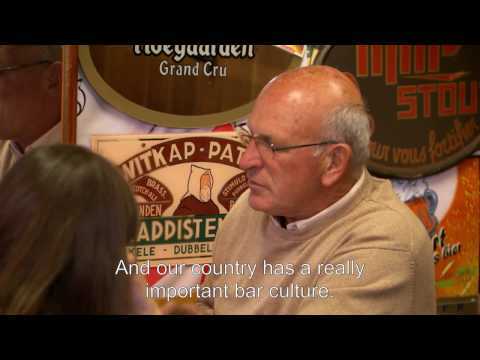 The makers of Budweiser in Ireland? The commissioners of that North American Extra Stout? A separate PR agency? Which company is signing the cheques? Sponsored trip to Ireland, to the brewery? Well done! NICE! Bring back some snow globes. I think you've more than proved your integrity over the years, and I, for one, am not worried that will suddenly lose your objectivity. Enjoy Ireland! I was contacted by Michael Ash's daughter two years ago to interview him, and to my deep shame I have still not been able to organise the time to do it: I have a load of stuff about the nitropour I managed to get out of the Guinness archives at Park Royal about 12 or 15 years back. Must try to do it within the next month! Beer Nut, Diageo is signing the checks. 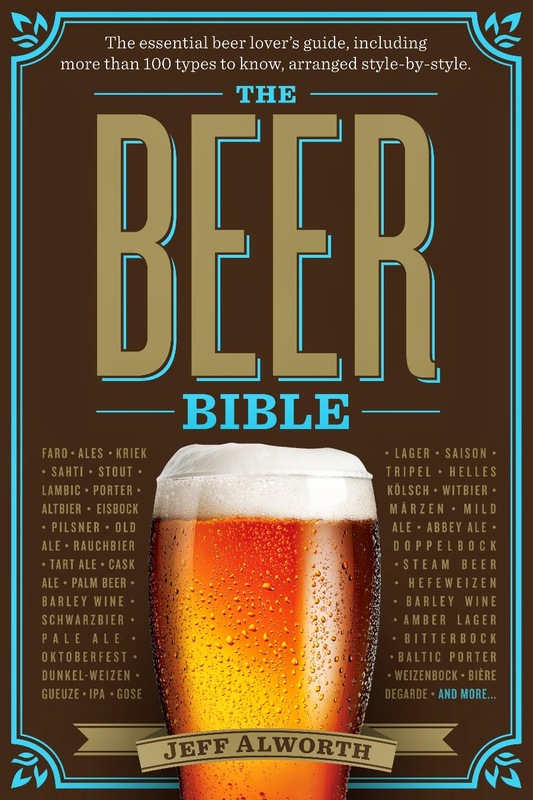 Are the brand, the brewery, and the beer not the same? They're all owned by Diageo, but can't we use the name the way we would for, say, Dupont or Schlenkerla? Martyn, yes, you should talk to Mr. Ash if you can, and then you should write about that whole project--I would love to get the Full Cornell. All of you who congratulated me: thanks! Although they never approached me about sponsorship, they did offer to fly me to Dublin for the opening of The Open Gate Brewery. Short notice and I couldn't do it. It still makes me sad to think I missed a free trip to Dublin. Go enjoy Ireland! To those who will call you a traitor, there are countless millions of people around the world who drink Guinness products and enjoy it. And isn't that the point? No, I don't think Diageo-Guinness USA, based in Norwalk, Connecticut is quite the same thing as Arthur Guinness Son & Co (Dublin) of St. James's Gate, though both are subsidiaries of Diageo plc of London. Much of the contact I have with the brand is via Wilson Hartnell, a separate communications company which handles their advertising and PR -- I assume a different company again looks after their PR for the USA. These companies might look like they're all part of the same package but they do different things, have different agendas and push different messages. To pick up your analogy, if my blog became sponsored by Schlenkerla (my mouth waters at the thought of it) my assumption would be that the sponsorship is actually paid for by Grand Cru beers which distributes Schlenkerla in Ireland, or else by a PR firm that the boys in Bamberg have recruited to promote their wares in the Anglophone world. It seems unlikely that the sponsorship would be directly from Bamberg in the same way it seems unlikely that yours is from London, or indeed Dublin. I could be way off the mark, of course. Seriously, that's way too much complexity for my simple brain. The people who originally contacted me were from Guinness's* media firm, Carat. The people who actually put it together are a branding firm (I think) in Philadelphia (I think). And the people who work for the mothership have @diageo.com in their emails and work in New York. There's one fellow in particular who seems largely responsible for all this--he read my blog and amazingly even listens to the podcast (slight shudder). He has a 21st century sense of the beer market and one informed heavily by the currents of the craft beer segment here. I will see him next week, and I can ask him to sort it all out for me. Report to come. Mine too! Hence the, er, interest when an intangible brand, like "Guinness", is said to be doing something. I've already been through this with Mark Dredge when he said he works for "Pilsner Urquell".